A catastrophic injury can turn your life upside down. In addition to causing permanent physical impairments, a catastrophic injury can prevent you from earning a living while requiring expensive, long-term medical care. That can mean that debilitating physical injuries are compounded by significant psychological and financial stresses. 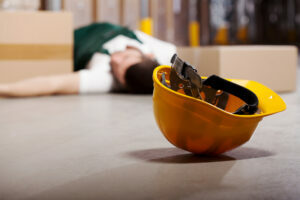 When catastrophic injuries happen at work, injured workers may have various options for financial recovery. At Finderson Law, LLC, our Fort Wayne attorneys are ready to explain your options for recovery if you or someone you love has suffered a catastrophic work injury. As diligent, resourceful problem solvers, we have the experience and insight to help you protect your rights – and pursue all available legal remedies – so you can maximize your financial recovery. Call (260) 420-8600 or email us for more information about your rights and recovery options. Initial consultations are free. The Indiana workers compensation system is in place to provide financial support to workers who are injured on the job. Because Indiana has a “no-fault” system, benefits can be awarded to injured workers regardless of whether they – or the employer or a coworker – were at fault for the accident and injuries. Depending on the nature and causes of the work accident, injured workers may also have additional options for financial recovery. Specifically, if the negligence of a third party (i.e., a party other than a coworker or employer) contributed to the accident and injuries, an injured worker may be able to seek compensation from that third party. Private individuals when, for example, they cause motor vehicle accidents involving workers who are on the clock. If catastrophic injuries result in certain long-term or permanent disabilities, injured workers may also be eligible for Social Security disability benefits. If you or someone you love has suffered any type of catastrophic injury at work, contact a Fort Wayne workers compensation lawyer at Finderson Law, LLC to get answers about your options for recovery. Call (260) 420-8600 or email our firm to set up a free, no obligations consultation with us today. With more than two decades’ experience helping injured workers, our attorneys are ready to build you a strong claim and help you successfully navigate the recovery process. Please don’t hesitate to contact us to find out more about your legal options and how our representation can make all the difference in your claim. You won’t be charged any fees unless we obtain a recovery for you. This means that you have nothing to lose and potentially a lot to gain by contacting us to find out more about your legal options. To date, we’ve satisfied hundreds of clients. Our history of providing the exceptional legal services – and delivering superior results – has earned us a 5-star rating on Facebook.